I found this place to eat before going to a football game on a Saturday lunchtime. Turn right out of the tube station and walk about 75 yards or 2 minutes. It was almost full but I was lucky to find a table. I was really pleased that I did! There are not many places to eat in the area and this one was a gem. Food was freshly cooked almost in front of me. It was served quickly and piping hot and was very tasty. The service was very friendly all the time and I could clearly see there were many regulars no doubt down to that. Prices were very fair and clear. Puddings were great too and I shall make sure I go to this place again next season! 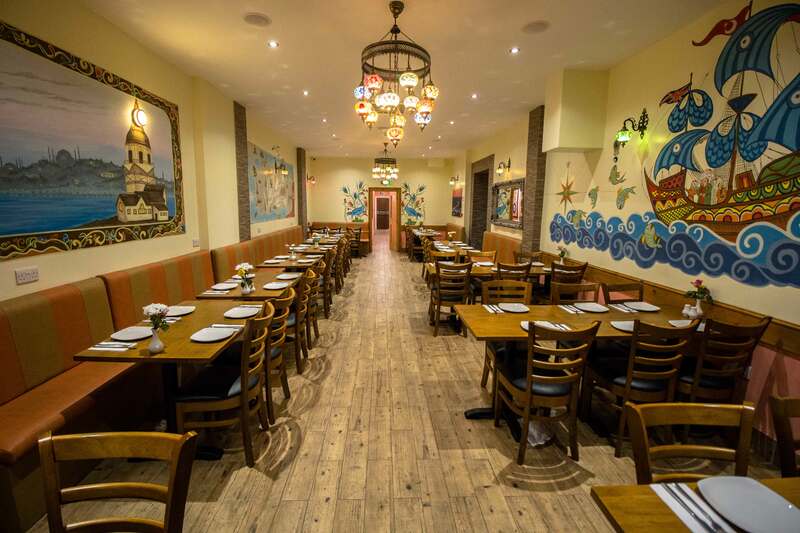 Writing this review after our second visit to this wonderful family run Turkish restaurant. On both occasions the food was excellent, the service was very attentative and good quality wine to boot. The atmosphere on our second visit was a bit noisy, probably because every table was occupied and there isn’t any sound deadening like carpets or curtains so very echo-y (and it was half term so a few children as well). BUT, couldn’t fault the food or the service and very reasonably priced. Started with pitta bread and dips (on the house), 2 main courses, bottle of Rijoca and 2 extra glasses of wine all for just over £40. Will be going again in the near future. Very convenient for public transport as right next to Canons Park tube stations. 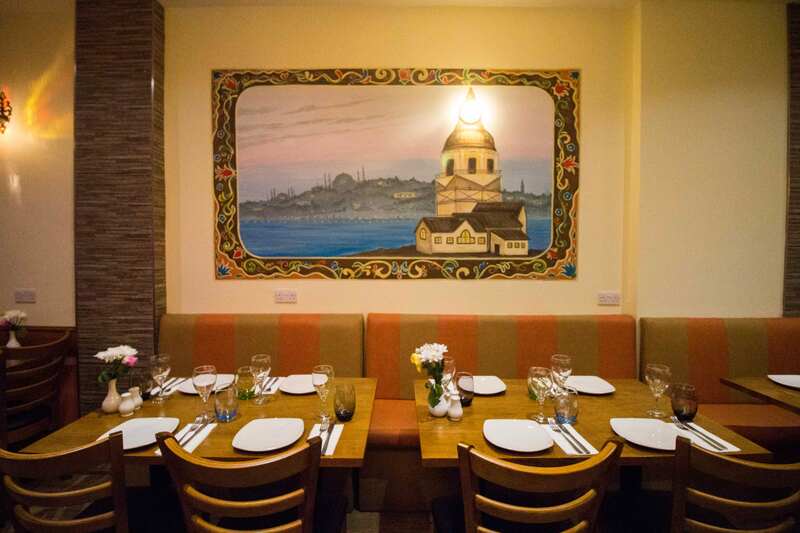 The restaurant serves simple but very well made Turkish food with very friendly service. I was welcomed with fresh bread and humous whilst I selected my meal which was a nice touch. I was impressed with the quality of the food when it arrived. A simply furnished, family friendly restaurant. Very good valu and generous portions. I enjoyed my visit and would happily return if I were in the area again. Very close to the underground station. We were a large group of over 30 colleagues / friends celebrating my retirement in the newly refurbished part of the restaurant. Friendly, attentive service, especially from the waitress who smiled throughout the evening. 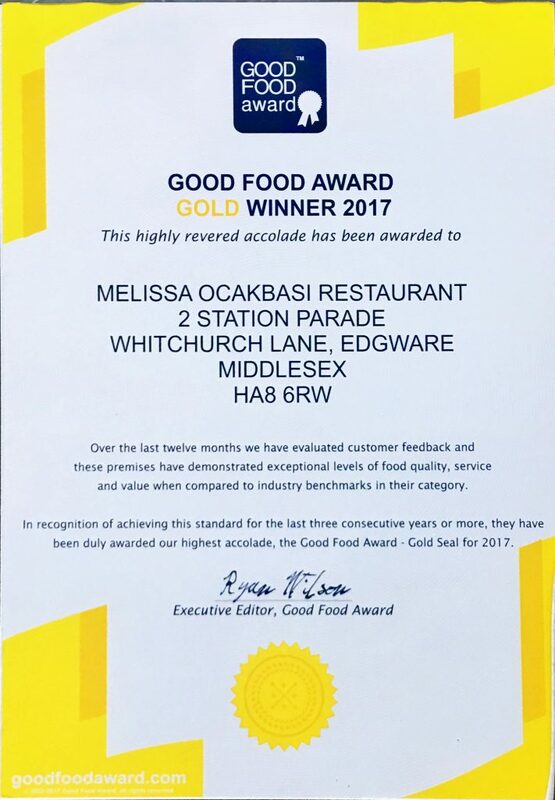 Lovely owner and hardworking staff. Delicious food which was well presented. Meze for starters was a variety of delicious dips and really nice flat bread. Melissa special for main was a succulent, tasty selection of meat on a bed of rice and crisp, freshly prepared salad and chips. Generous portions of everything. Great price too. We all enjoyed the meal, the ambience and the service. Thank you so much Chetin and staff for making it such a memorable evening to mark my special occasion. I wish you every success for the future. We went with friends that had been several times and we were not disappointed. The food and service were excellent. We have been to many Turkish restaurants and this is up with some of the best. The owner is also on hand to help with any issues and I really liked that. All in all a great night out for friends and families alike. Would highly recommend it. 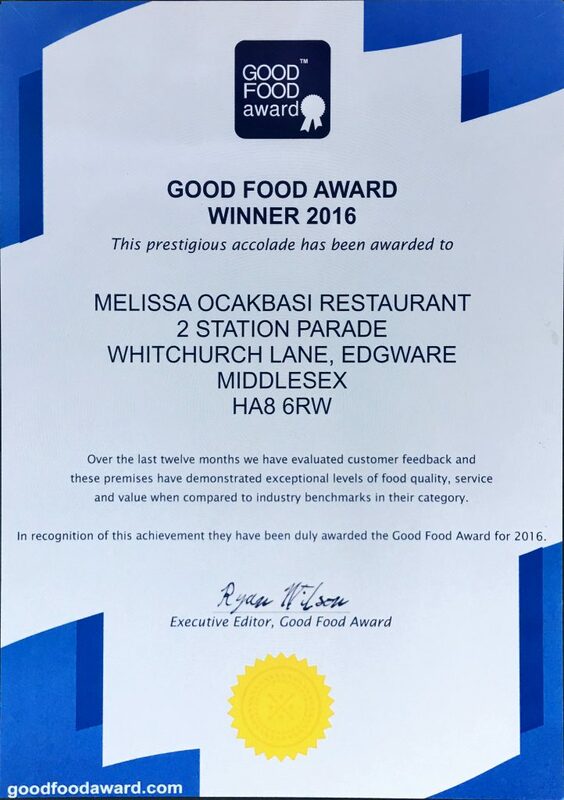 We regularly buy from Melissa and I think we always will if their high standard of Turkish food continues. Orders are prepared quickly and always hot and fresh. Their chicken shish is truly the best and all 7 grandchildren in our family say that. It has a distinct barbecue taste that other restaurants just don’t have. Prices are fair and quantities generous and staff always greet you warmly and with a smile. This was our second visit and the experience was entirely consistent with our first. 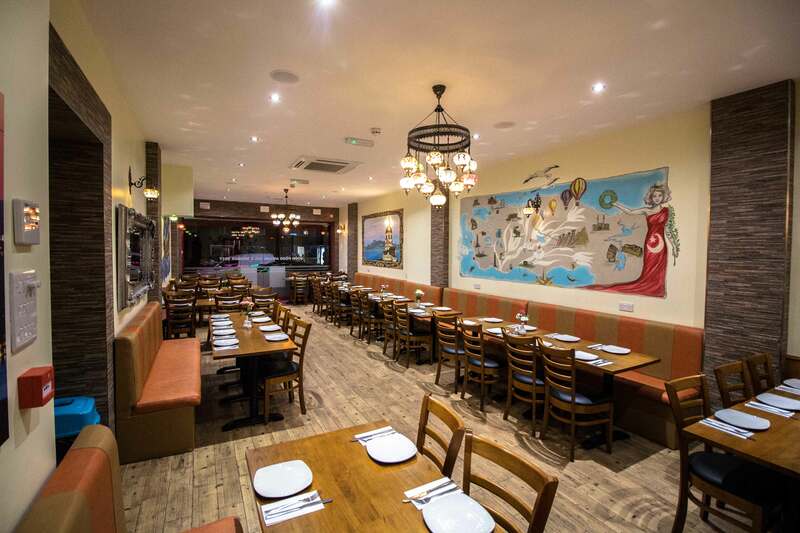 This is an unpretentious Turkish restaurant and takeaway but that description doesn’t do it justice. Today we shared the Melissa special which is a combination of just about every grilled meat you’d expect laid on a bed of doner. Fresh salad and chips or rice completes the repast. The meat is excellent. Tasty and perfectly seasoned and not fatty. I ate here alone as my husband accidentally locked me out of the house and had taken my keys and wouldn’t be home for another 3 hours. I was a bit wary of eating alone but was given a table near the door by a very friendly waitress. I ordered the chicken shish with rice, and had salad, humous and olives. The food was really delicious and the chicken tender. The staff were very attentive even though it was very busy. 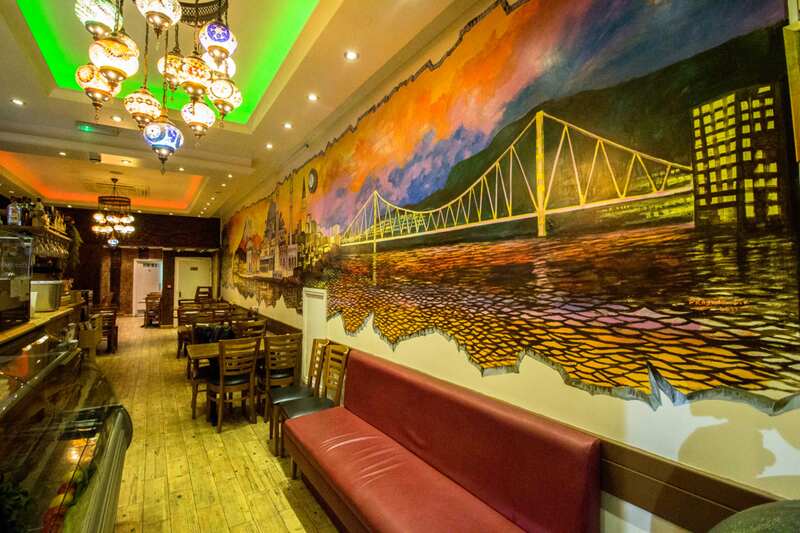 I would definitely recommend this place which has a nice Turkish feel with pretty lanterns. From the outside it looks just like a takeaway place which of course it is too but surprisingly has quite a few tables inside. 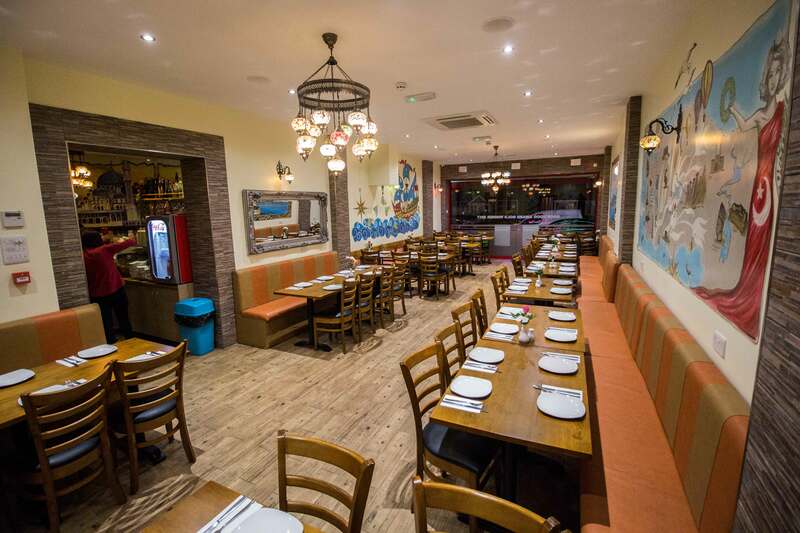 I would say that the service here is excellent, the staff are very attentive to every need. 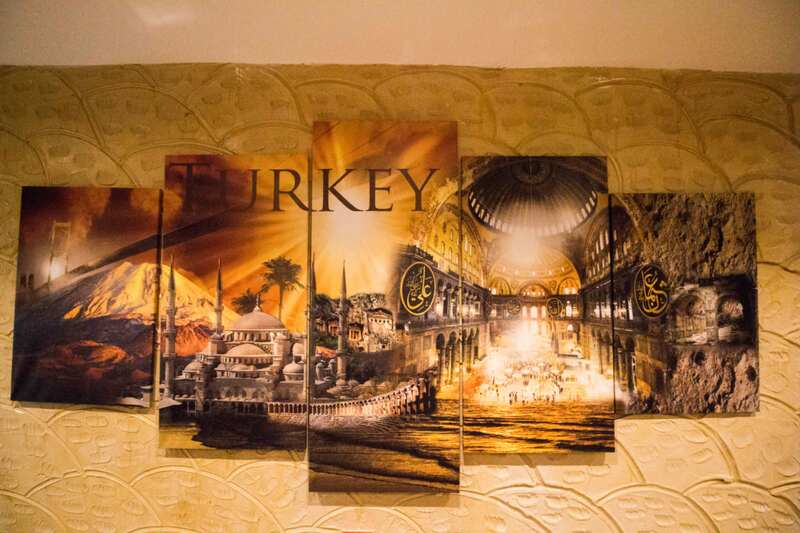 We are not new to Turkish cuisine; but we came here to try something new. We had lamb shish kebab with sauce, yogurt and extras. The meal was very tasty the lamb was cooked really well and tasted tender. We had tea on the house which was a lovely gesture for our first visit. 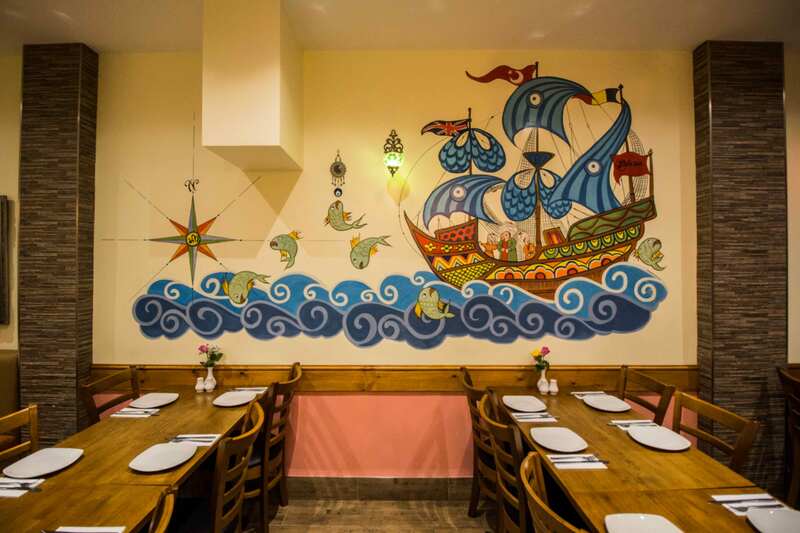 The staff are really hospitable which allows for a very homely feel. And we took some take away for the rest of the family. We will be coming back again. 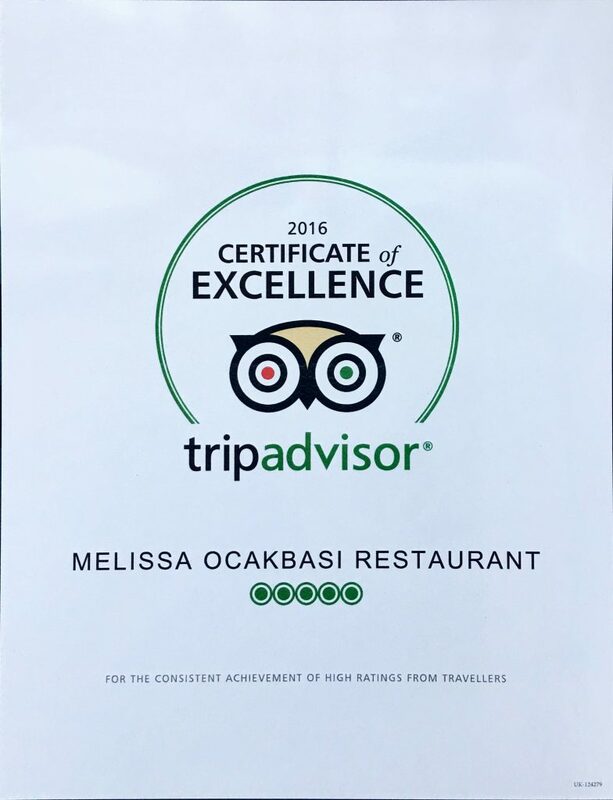 We had a fabulous meal here tonight…the staff are super helpful and really friendly,nothing is too much trouble. The food is divine…we had a share platter which was beautifully cooked and well presented. The salads were tasty, fresh and colourful. Lovely open kitchens and 5 stats on the door for hygiene. Great décor and very comfortable for couples or larger groups. Will be back… What a gem! O and the manager was super cool and really attentive too.